Imagine a Morning in Late November . . .
Now that’s an odd title for a post in, well, late November, isn’t it? After all, it is late November. We don’t need to imagine it! Well, yes and no . . . In an earlier post, I referred to a scene in The Eye-Dancers where Mitchell Brant–intuitive, imaginative, not bound by in-the-box thinking–asks Marc Kuslanski, he of the literal, scientific, logic-driven mind-set, if he’s ever just felt something to be true. Not quantify it. Not prove it. Not measure it. Just feel it. I would take that sentiment and apply it to writing. Good writing. What is it? Generally, we know it when we see it. Good writing captures us, takes us by the hand, and doesn’t let go. If it’s science fiction or fantasy, it opens up new worlds or ways of seeing the world we live in. If it’s good fiction, of any genre, its characters come to life and move us, make us laugh and cry and care about them as if they were real people. If it’s an essay or a history or any nonfiction piece, good writing will draw is into the narrative and make us want to read further. Still, what is it, this “good” writing? Can it be measured? Can Marc Kuslanski’s rigorous testing policies apply to writing? Again, yes and no. All good writing shares certain characteristics. There are certain fundamentals of the trade that need to be mastered before any piece can be called “good.” This is indisputable. But what qualities, beyond the basics, truly make something good? Or great? Writing is very subjective. It’s not like calculus or trig, where algorithms or formulas dictate the day. One person’s tastes won’t necessarily mesh with another’s. Even so, most people will agree when something is well written, when it’s moving, when it exhibits a certain something, that intangible “it” factor that is so hard to define. With that in mind, I’d like to quote the first paragraph from Truman Capote’s “A Christmas Memory.” If you haven’t read this iconic holiday short story, please do! It is one of the great short stories of the 20th century–a wonderful, semi-autobiographical character-driven piece. Capote was a master of words, a craftsman of the highest order. The language is simple–no thesaurus needed here. There is nothing, on the surface, entirely remarkable about it. And yet–it is magical. It resonates. It welcomes us in. In one short, simple paragraph, Capote takes us immediately into his world. It’s personal. Inviting. And great. Why is it any, or all, of these things? I could dissect it and chop it up and tape it back together again and provide different reasons. But the real answer is–it just is. It has the “it” factor that all great writing has–impossible to fully define, but you know it when you see it. So, with that in mind — Imagine a morning in late November . . .
Mitchell Brant, Comic Books, and Me . . . If you’ve read chapter one of The Eye-Dancers, you already know that Mitchell Brant is a big fan of comic books in general and The Fantastic Four in particular. It’s always dangerous to read too much into a fictional piece. What I mean by that is–just because someone writes a story, populates the story with characters, that doesn’t mean they are writing an autobiography. On the other hand, bits and pieces of any writer filter in to his or her fiction. They have to, really. How could they not? The Eye-Dancers is chock-full of things that resonate for me as an individual, and one of those things is comics. One of my older brothers was a comic collector. So I did have that influence. But my fascination with comic books (“graphic novel” is a fairly recent term–back in the ’80s, when I grew up, they were comics, plain and simple) surely was innate. As far back as I can remember, comics, especially old ones, printed and produced long before I was born, have called to me, beckoned, urging me to read them. And like Mitchell, I have always loved The Fantastic Four. In chapter one, he pulls out Fantastic Four # 99. I know it well. I own it, have read it many times. A good old comic book has the power to transport me back to a simpler time, a time when I used to go to the local collector’s shop and talk with the owner, Jim. (These were the days before eBay and online shopping, which, sad to say, dates me a bit!) As far as I know, Jim is still in business, still operating his shop on the south side of Rochester, New York, where I grew up. Walking through that shop, looking at the old issues displayed in the glass case, smelling the scent of Mylar and decades-old paper in the air, I felt a magic, an excitement. I couldn’t wait to buy something. I haven’t been back to the old shop in years. But it’s still there, inside of me, and a small part of it comes alive in Mitchell Brant. So, thanks, Mitchell. For helping me, hopefully for helping all of us, to rediscover the magic, to reclaim the wonder we once knew. We still have it, after all. Maybe it’s been pushed down, deep, hidden, struggling to reemerge. But it’s there. 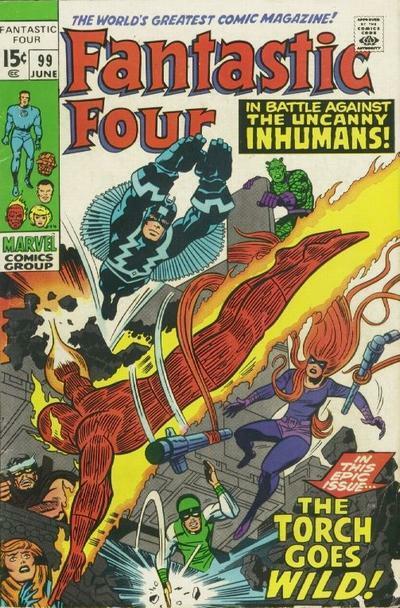 And for me, The Fantastic Four and all the old comics of yesteryear are sure-fire ways to find it again. If you’ve never read The Fantastic Four, the originals from the 1960s, check them out. They might surprise you . . .
Next Week Is the Week! The final tweaks, edits, and changes have been completed, and The Eye-Dancers is just about ready for its release–on Amazon and Smashwords next week. It’s been a very interesting, fun, and rewarding journey to this point, and I hope the journey is only just beginning. Writing a novel is certainly a humbling and memorable experience. The characters come to life and as the author, you really get to know them. And when the final word is written, you miss them, too. I hope readers will also feel the same way about Mitchell, Joe, Ryan, and Marc, along with all the rest of the characters in The Eye-Dancers. Thanks to everyone who’s been following and reading this blog. More to come soon . . .
By the way, please check out the new Eye-Dancers Facebook page and drop a line over there!